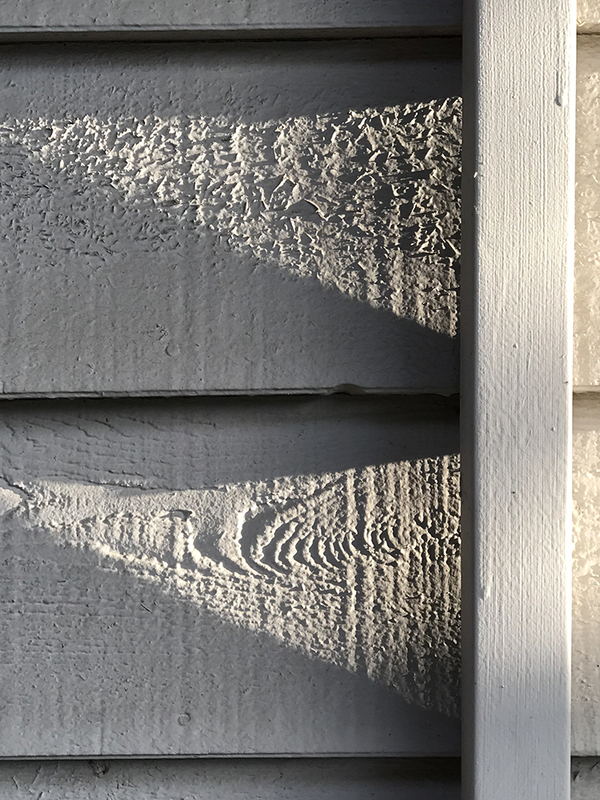 My two recent posts (Siding, Up Close and Surface of the House) were close up shots of wooden siding lit by oblique rays of the sun. Below is a photo from a greater distance. This entry was posted in Personal Stories and tagged abstract photography, art, artistic process, creative process, creativity, photography, rough surface, siding, street photography, texture. Bookmark the permalink.